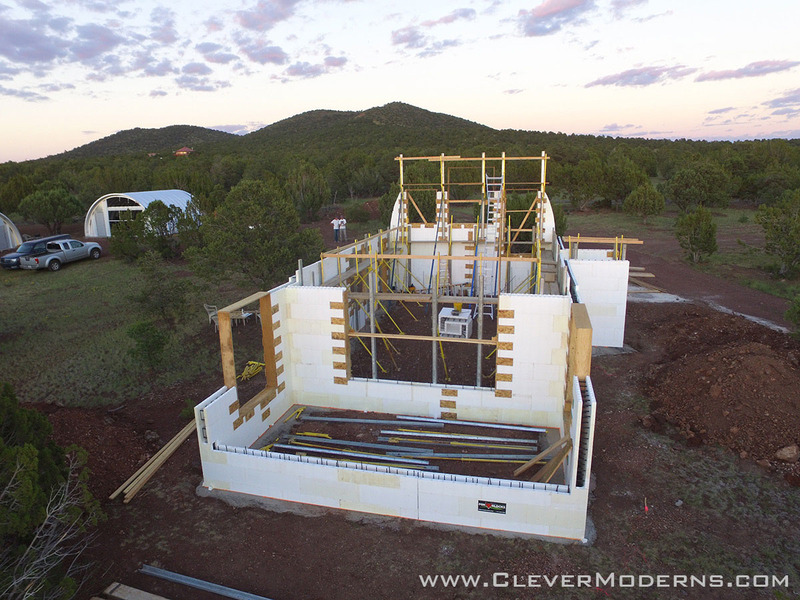 The ICF walls are a big feature of this house. 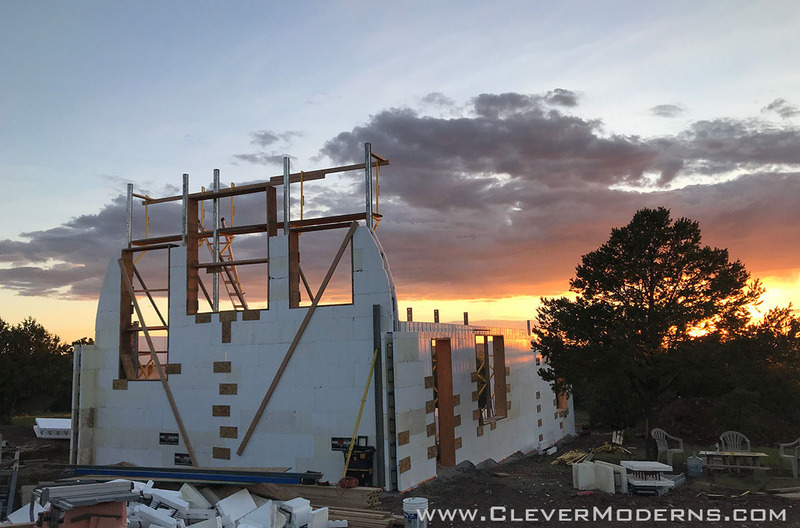 ICF is a great system but it isn’t in wide use yet. 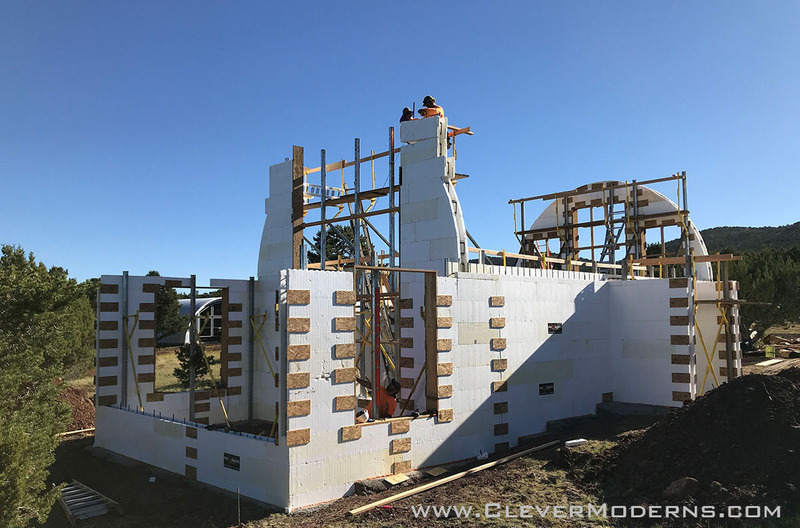 Insulated (or insulating) Concrete Form is a system of styrofoam blocks that interlock to create a strong formwork into which rebar is placed and then concrete is poured. 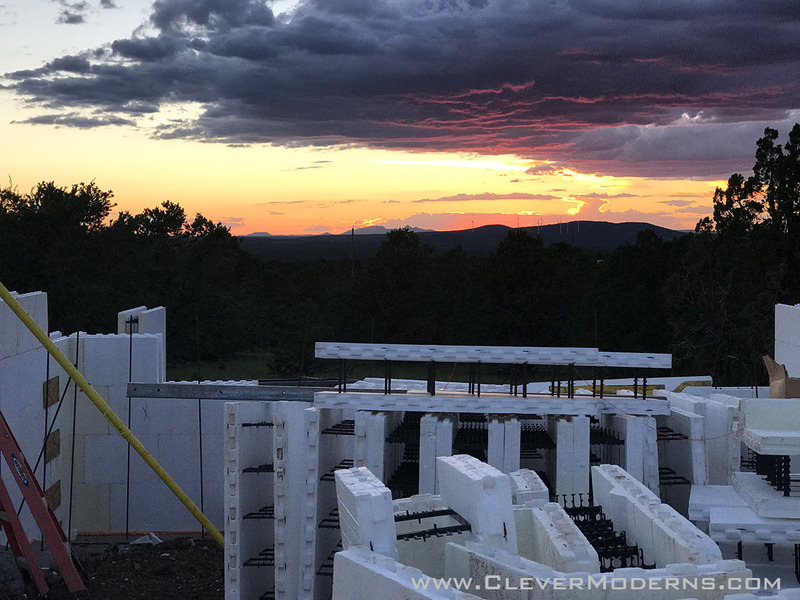 A properly constructed ICF building far outperforms other types of conventional construction in terms of energy usage and user comfort. Here’s a closeup looking inside one of the walls as they were stacking it. 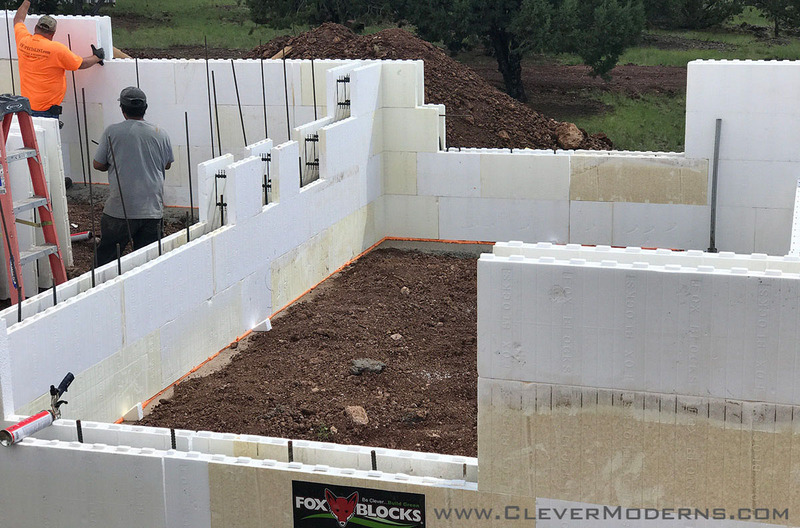 We used block by a company called Fox Blocks, made in Phoenix. We used them because the installers we hired use them and it was all the same to me. The dimensions can vary by company but Fox Blocks are 16″ high and 48″ long. 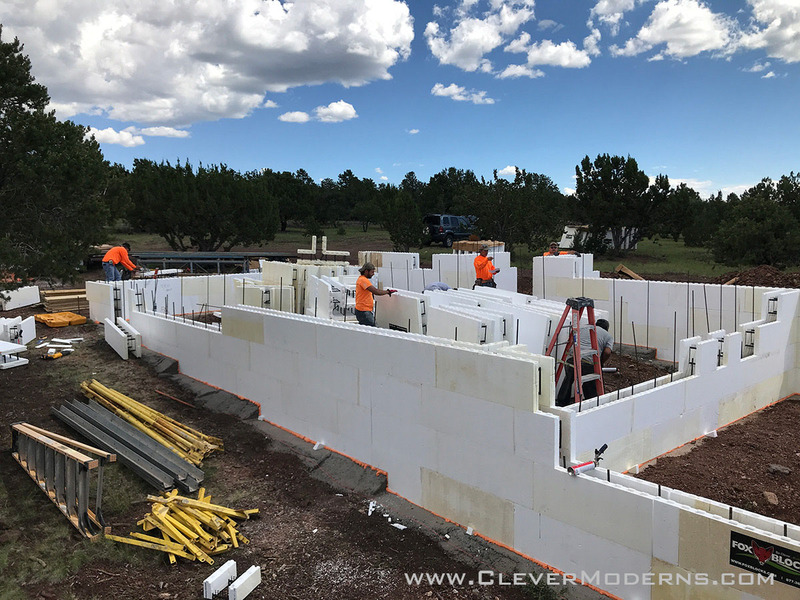 Each foam panel is 2 5/8″ thick, and our walls were 6″ of concrete. This makes the whole wall 11 1/4″ thick. They also make them in 8″ and 10″ concrete thickness. Here are our blocks all bundled on their palettes, ready to be stacked on the footings. 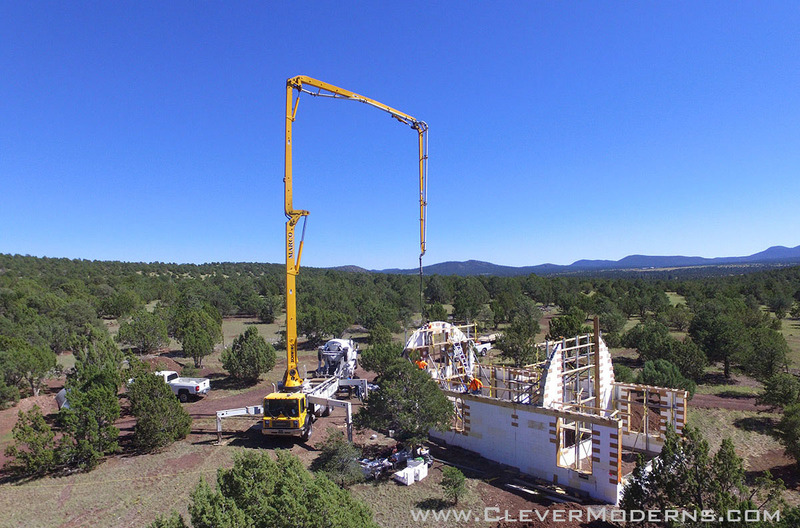 We were lucky to have a really good company out of Phoenix do our ICF work. ICF Specialist did a great job and I would be happy to work with them again. They were extremely knowledgeable and professional, and I got the sense that their main focus was to get the job done right so that I would be happy. And, I am happy! They stacked the “boxy” part of the building first, which took a few days. 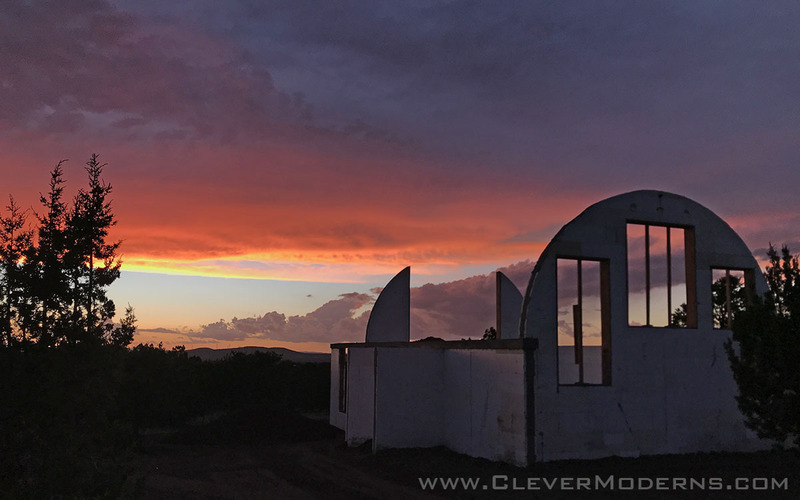 When it came time to start on the curve where the end wall goes up into the Quonset, we measured off the workshop building to confirm the diameter. We had ordered all three of our first buildings at the same time and of the same size for this very reason. 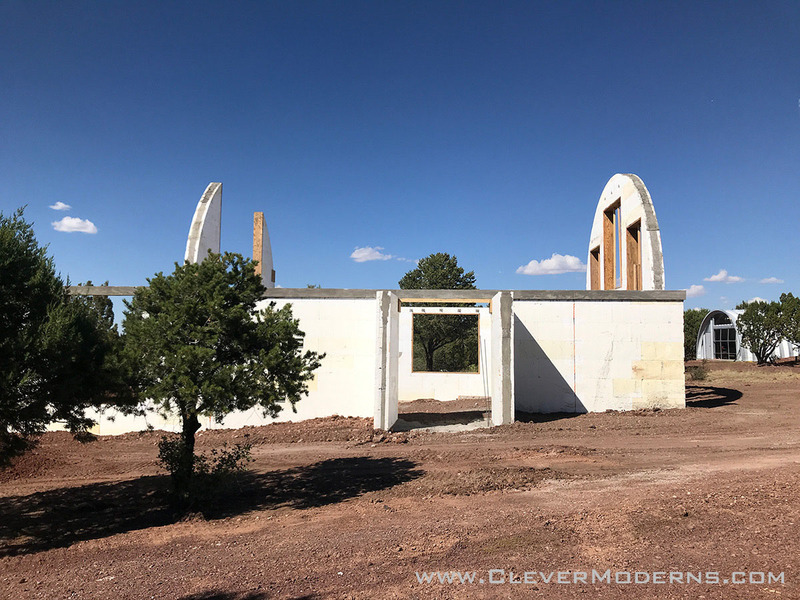 (Well, not exactly, as we didn’t have ICF in mind back then, but we knew we wanted all three buildings to be the same size arch so that we could experiment on the first two.) 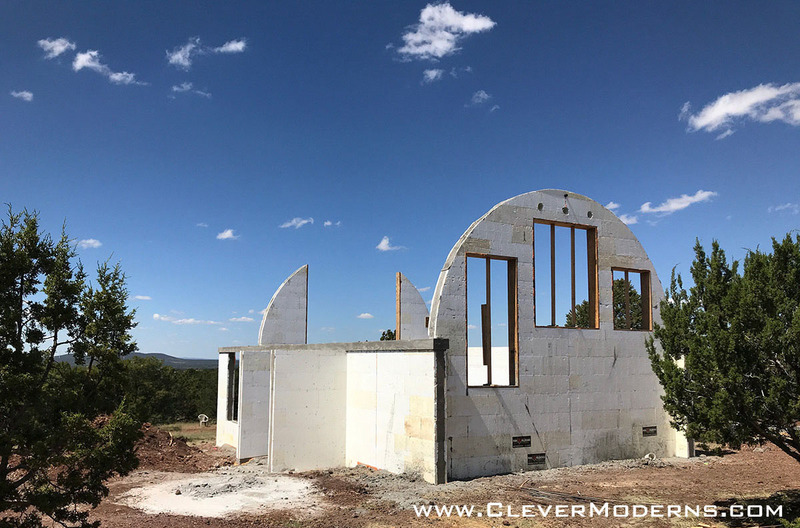 We measured and then subtracted a couple inches off the radius, to give us some wiggle room when we go to put the arches over the walls. 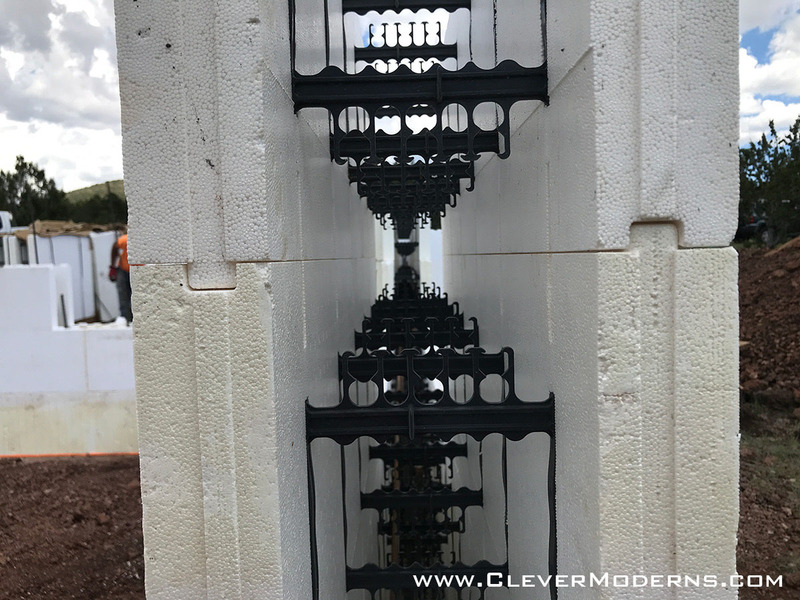 The rectangular wooden pieces you can see in the photos are placed and screwed into the walls to help hold it all together so it doesn’t blow out under the weight of the wet concrete. They’ll be stripped off later. They also used a lot of diagonal steel braces that had a kind of scaffolding catwalk integrated into it at the top. It’s a very clever system overall. Then it was the day of the pour! 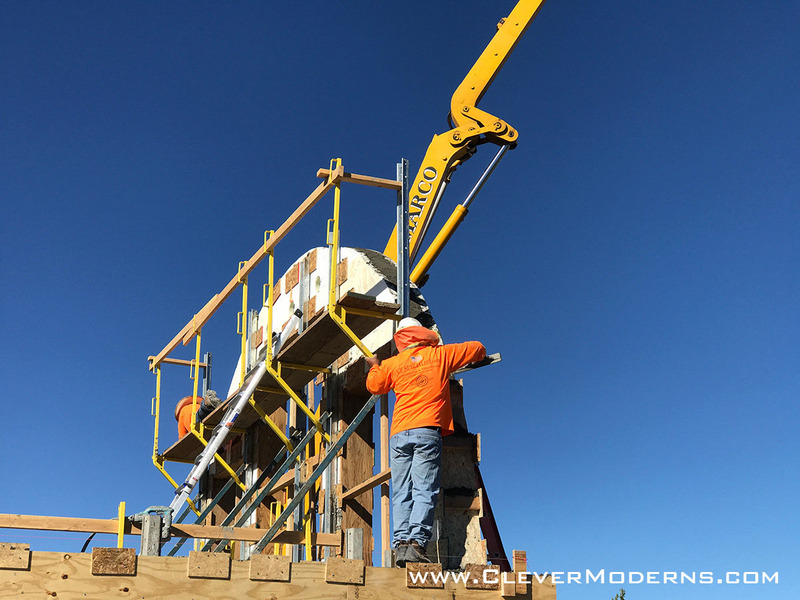 They had a HUGE concrete pump with a boom that could get the concrete into the tops of the walls twenty feet above the ground. It was amazing. The pour went off without a hitch. 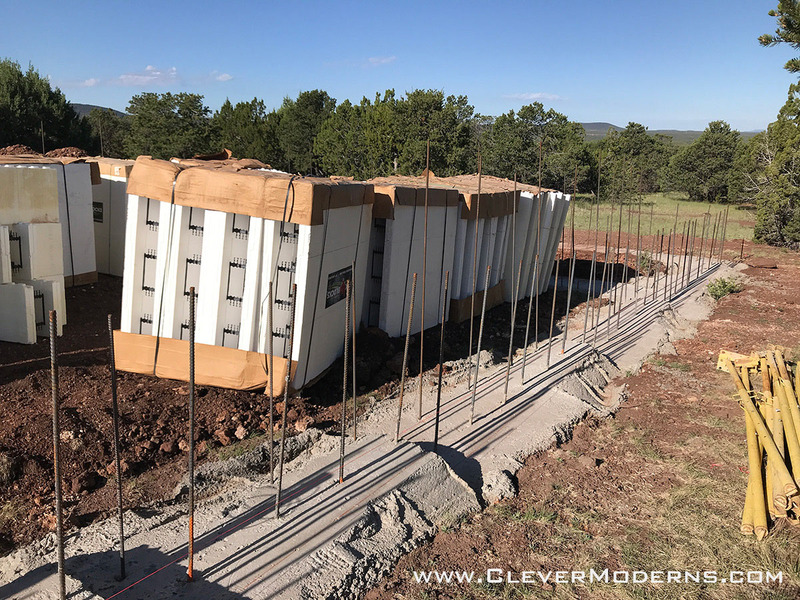 After they poured the concrete, it was several days before they came back and stripped off the bracing and temporary wooden tie pieces. Now you can really start to see the size and shape of the house! 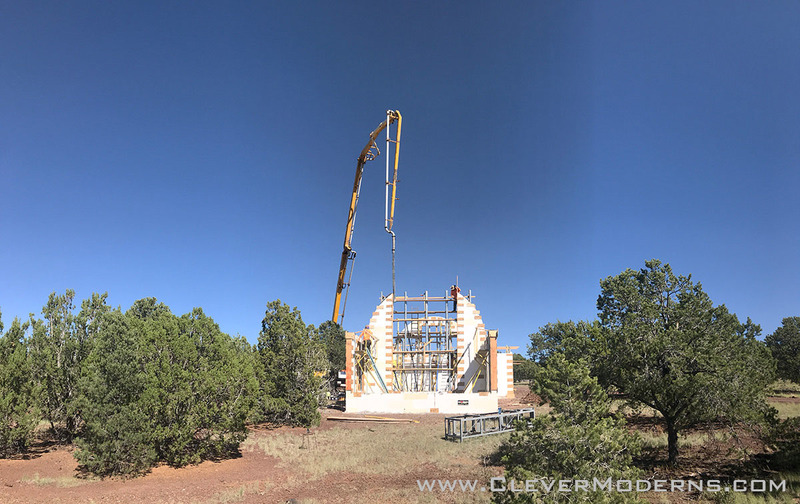 While the bracing and scaffolding were still in place, we took advantage of them to do some drilling into the top of the walls where the base plates will go. It was exciting and fun to finally get our own hands dirty after watching all these pros do their work. Next step will be to pour the floor slab and then after that it’s arches!